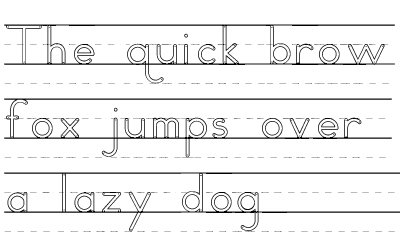 SchoolFonts.com Letters ZNuScript typeface helps create worksheets which follow Zaner-Bloser recommandations, and current education standards. With these school fonts, you can create you own exercises and study books, with the phrases and curriculum you consider the most appropriate for learning handwriting. They work within any standard application, and can be used with such programs as Microsoft Word™, Microsoft Office, Claris Works™, Pages, for instance, and all current software. They support accents. Mac OS X El Capitan 10.11.x, Yosemite ,Mountain Lion, Mavericks and before. These typefaces do not require any additional software to start with your current applications : word processor, layout program, publishing software, and so on. They work immediately, like any other font, as soon as they are installed. 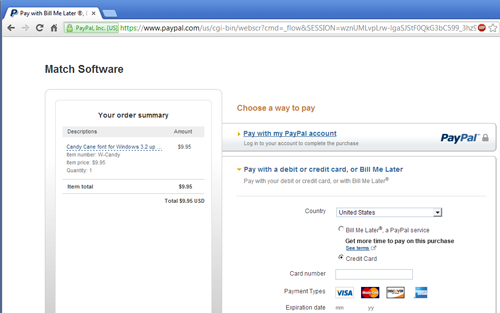 When payment is complete, download starts. There is no theoretical limit to the size of letters, besides the practical limits of the application used to manage layout. They can be printed very big to post on the blackboard, for instance. Like any standard font, Letters can be used in colors, which offers exclusive color-coded exercise possibilities. OS/2, Unix and Linux users can install the Windows ATM Package. 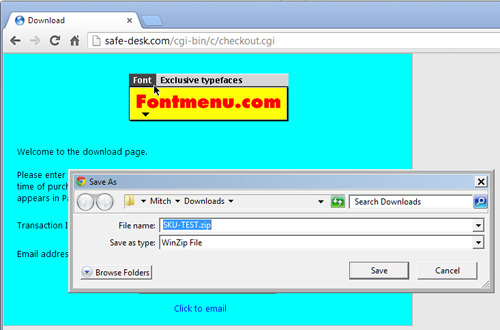 Recent versions of Linux, as well as Warp 4, also support Windows TrueType fonts.